Philippines Health and Fitness Blogs List. The Best Philippines Health and Fitness Blogs from thousands of Health, Fitness and Healthy Lifestyle blogs by Filipinos using search and social metrics. Subscribe to these websites because they are actively working to educate, inspire, and empower their readers with frequent updates and high-quality information. Philippines Health and Fitness newsletter is a comprehensive summary of the day's most important blog posts and news articles from the best Philippines Health and Fitness websites on the web, and delivered to your email inbox each morning. To subscribe, simply provide us with your email address. Facebook fans 241,974. Twitter followers 12,352. About Blog The modern Filipino parent's website for raising happy, confident kids from a cultural and global perspective | Mabuhay, Pinoy parents! A big part of building a happy home is maintaining a lifestyle of health and wellness. It doesn’t only mean avoiding illness or disease, but also thriving together as your best selves. Facebook fans 769,847. Twitter followers 5,702. Philippines About Blog Slimmers World International is the Philippines’ foremost name in Slimming, Health, Fitness and Beauty. Become the best you can be by working out in the best gym in the Philippines. Here at Slimmer's World we can make you look good and feel great - all in one go. Facebook fans 69,801. Twitter followers 645. Facebook fans 188,143. Twitter followers 7,757. Manila, Philippines About Blog I am Jeff, head blogger and founder of Relatable Fitness Philippines. I’m not a fitness coach nor a fitness pro / expert. I’m just a fitness enthusiast who managed to stick to working out pretty consistently for around 6 years now. Overall, this blog covers most of the aspects you’d want to learn about: workout, diet routines, personal care reviews, fitness gadgets, running shoes, gears and accessories, healthy food recipes, fitness centers, outdoor activities, and overall fit health. Facebook fans 12,404. Twitter followers 3,010. About Blog Health Begins With Her is the Philippine's first women's go-to guide for all things health & wellness. We believe in conscious living and being proactive towards health. Kickstart you wellness journey with HBWH today! Facebook fans 8,268. Twitter followers 925. Facebook fans 5,537. Twitter followers 1,174. Philippines About Blog LoveYourself aims to reach out to the community to propagate ideas, attitudes, and practices that encourage loving oneself - DARE, CARE, and SHARE. DARE to be oneself, CARE for oneself, SHARE oneself as a way to multiplying joy and love. The LoveYourself Project is the ongoing pioneer project of LoveYourself Inc., it aims to prevent the spread of HIV/AIDS among the youth and key affected population through awareness, counseling and education. Facebook fans 43,011. Twitter followers 19,304. Manila About Blog I’m Jane Uymatiao, a Filipina yogini and certified yin yoga teacher from Manila, Philippines. In this blog you will find a list of yoga studios, not just in Metro Manila but in other parts of the country, to help yogis find places to practice wherever they are. Facebook fans 1,135. Twitter followers 1,412. Iloilo City, Western Visayas About Blog For more than 10 years, PERFECT TOTAL FITNESS has been Iloilo’s leader in physical fitness. Our clients have included hobbyists, professionals, students, trainers, and competitors -- all experience the PERFECT quality of our staff, training methods, and equipment. Facebook fans 4,068. Twitter followers 57. Philippines About Blog I’m a French-Filipino content creator with a passion for good food, travel, and fitness. I'm an Ex-Fat Kid who loves to cook and share fitness tips. Come and join The Fat Kid Inside community. Facebook fans 952,522. Twitter followers 1,161,490. About Blog Home of the Modern Filipina, read the latest trends in health, beauty, and career for better living brought to you by best Filipina bloggers and authors. Facebook fans 65,945. Twitter followers 397. About Blog Primal Health Manila's mission is to help Filipinos make better, informed choices on food, fitness and lifestyle to lead healthier lives! Issa Aviles is a Manila-based Certified Primal Health Coach. Become stronger, leaner and healthier by making better food, fitness and lifestyle choices. About Blog My name’s Roselle. I have been blogging since 2007 and got hooked into the sport of running as early as 2005. RunningDiva.ph is a blog or journal of my adventure as a runner, about any races here and abroad where I’m one of the competitors, anything about the local running community, eg, upcoming race, talk, fitness activities, product launches and reviews, blogging events, and training plans or tips. Facebook fans 785. Twitter followers 2. Metro Manila About Blog DIET DIVA offers a 1200 calories-a-day meal plan providing healthy & delicious food delivered to your doorstep. It's an easy and affordable way to reach your weight loss goal and maintain it! Facebook fans 23,599. Twitter followers 1,702. Philippines About Blog Manila's Wellness Guru and Managing Director of Mabuhay Chiropractic Clinics ... now blogging as a community service! Facebook fans 8,655. Twitter followers 25. Quezon City About Blog We firmly believe that health is wealth. This is the sole factor that has driven us to find the best products in the market, create alternative solutions for everyday use, and share our passion towards achieving a greater quality of life. With our advocacy for greater health and overall wellness, we want to offer better and more affordable health choices, and make it accessible to everyone. SOZO is your one-stop shop for all your natural and organic needs. Facebook fans 4,772. Twitter followers n/a. About Blog Ironpinoy Magazine is a resource for Fitness, Bodybuilding, Crossfit, Nutrition, Exercise, Enthusiasts and Fans. Facebook fans 5,148. Twitter followers 623. Quezon City About Blog Ironpinoy Magazine is a resource for Fitness, Bodybuilding, Crossfit, Nutrition, Exercise, Enthusiasts and Fans. 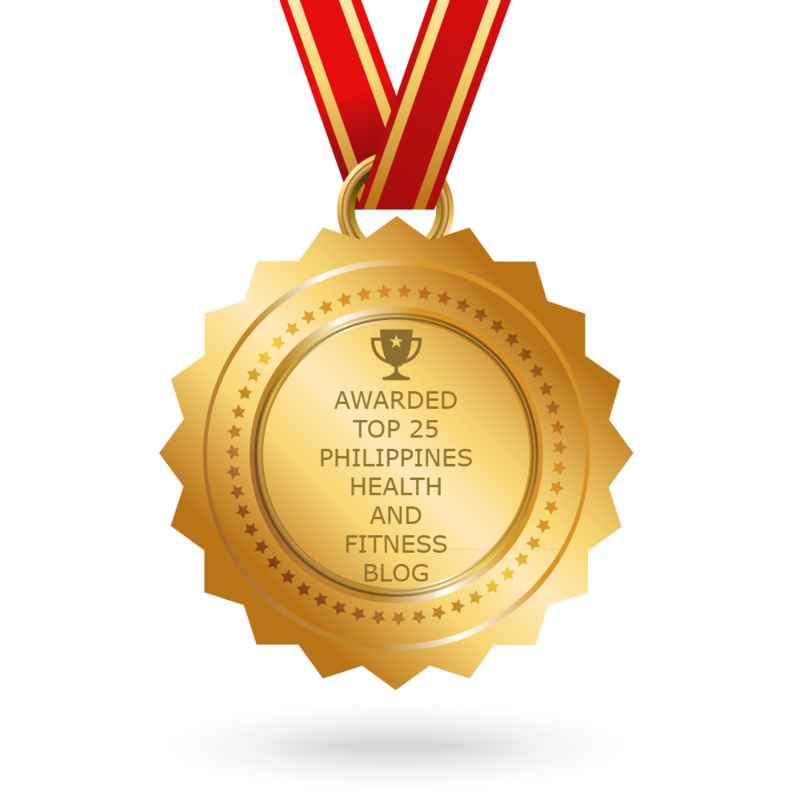 CONGRATULATIONS to every blogger that has made this Top Philippines Health and Fitness Blogs list! This is the most comprehensive list of best Philippines Health and Fitness blogs on the internet and I’m honoured to have you as part of this! I personally give you a high-five and want to thank you for your contribution to this world.